Beginner's Norwegian with Online Audio is now available! 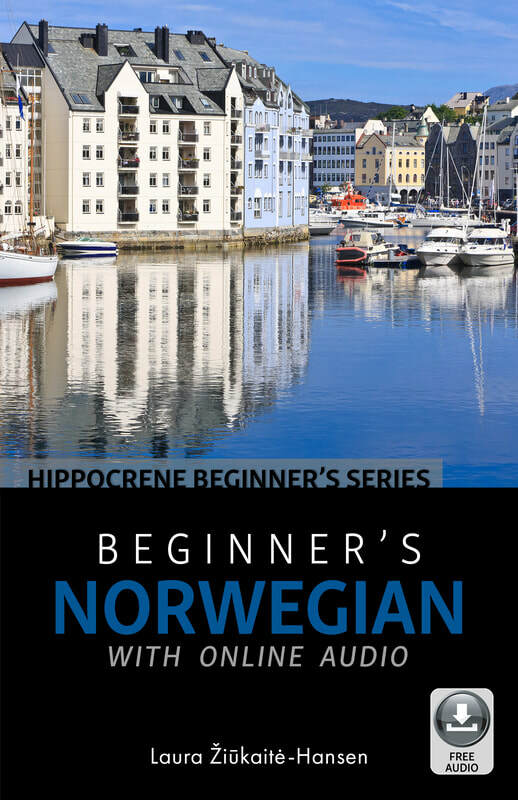 Previously published as Beginner's Norwegian with 2 Audio CDs, this new edition now has the audio component available online. We recommend downloading all files and saving to your computer. Then you can play from your computer anytime, or add it to your smartphone and practice on your commute. If you still prefer CDs, simply download the audio and import into an MP3 player (such as iTunes) to burn a CD. The Hippocrene Beginner’s Series offers basic language instruction, with grammar, vocabulary, and common phrases presented in carefully-paced lessons for the beginner who has no previous knowledge of a language. Each lesson builds upon the previous one, and includes review questions, exercises, and sample dialogues with accompanying audio. Historical and cultural information provides insight into customs and everyday situations. Designed for both self-study or classroom use, the Beginner’s Series guides are ideal for students, travelers, and businesspeople who want to learn a new language. Available in 36 languages.